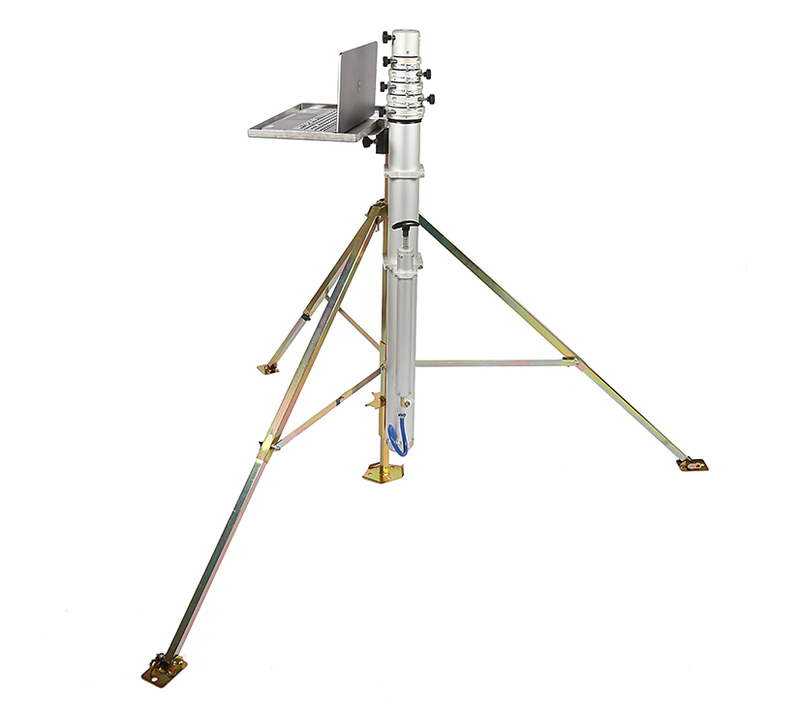 Our portable masts and diverse mounting options are essential pieces of equipment in the fields of sports analysis, lighting, photography and communications in particular, as well as military, police and fire departments. Formed from strong powder coated aluminium, the box contains a roller mechanism which allows forward and backward level adjustment of the mast when parked on uneven ground. This is a list of accessories for our masts, click the button below to see the full list. If you require further information then please contact us. Introducing our new winch up and stainless steel push up masts. Click hear for further information. -> Winch Up Masts Stainless Steel Push Up Masts. 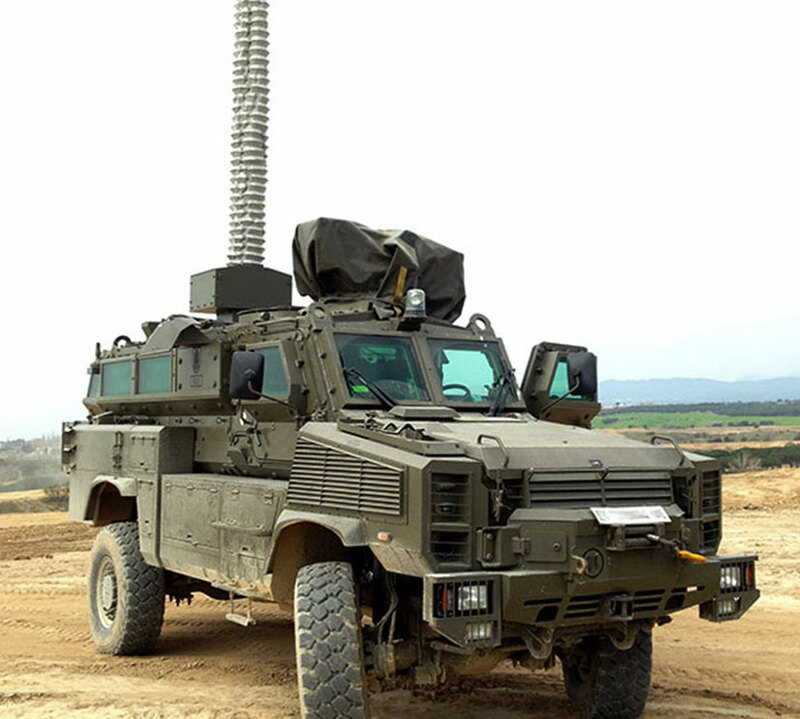 Total Mast Solutions supply over 900 different types of mast to suit every application. We’ve probably answered your question before, so why not take a look at our Frequently Asked Questions. For more information or to buy a mast, please feel free to contact our helpful and friendly team here at Total Mast Solutions. Conveniently based in the heart of England, close to all major transport networks, our ongoing and innovative design and development is paramount to our organisation. Our customers benefit from the latest technologies and our state of the art production methods ensure product quality, which is the key to our success. All of our telescopic mast equipment is rigorously tested in our quality control department prior to dispatch. Our friendly sales and technical personnel have a wealth of knowledge and are always happy to gain an understanding of complex customer requirements and guide you to the most suitable, user friendly solution. We have the capability to produce large quantity orders as well as one-off tailor made mast systems. 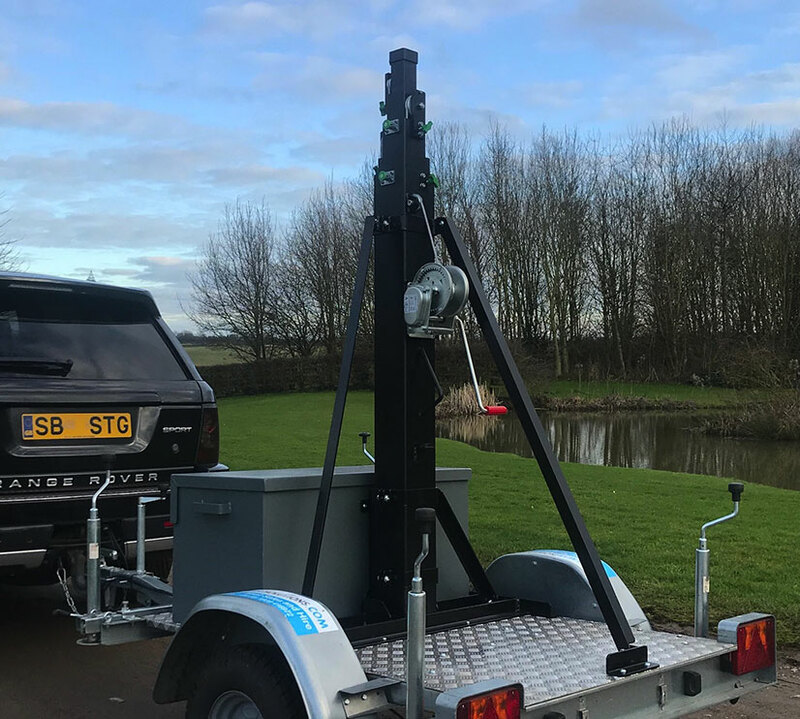 The introduction of our Mast Hire service in 2013 has proven highly popular with customers who only require a telescopic mast system for a set time period, or wish to try before they buy. We hope you enjoy browsing our inspirational site and look forward to hearing from you soon. If we have supplied you with mast equipment, we are always keen to follow-up with our customers and would warmly welcome the opportunity to share your user experience. 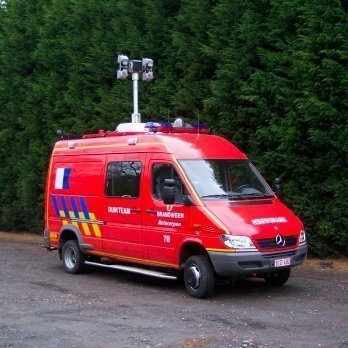 So if you have any information, images, videos, blogs posts or articles relating to the use of our mast equipment, please forward them to sales@totalmastsolutions.com, or notify us via our social media channels and we will proudly showcase your work. Please see our Mast Hire page for further information and hire rates. 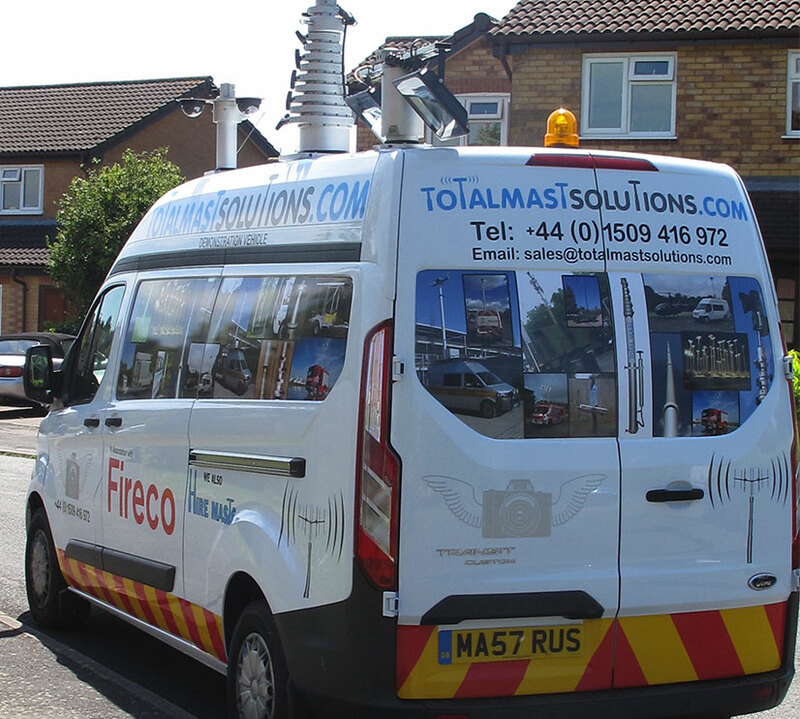 In 2009, Total Mast Solutions joined forces with fellow world renowned telescopic mast manufacturer Fireco, who are based in Italy. 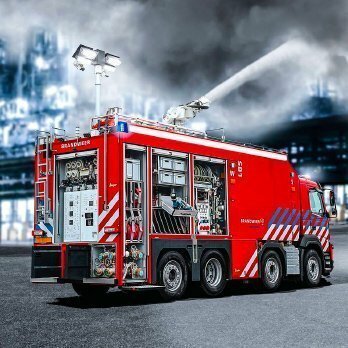 The collaboration with Fireco has proven to be a perfect combination of skills and has strengthened both companies. Together we currently produce and supply over 10,000 telescopic mast systems each year in our state of the art factory, and this scale of production has enabled us to be the most cost effective and reliable telescopic mast suppliers in our industry. 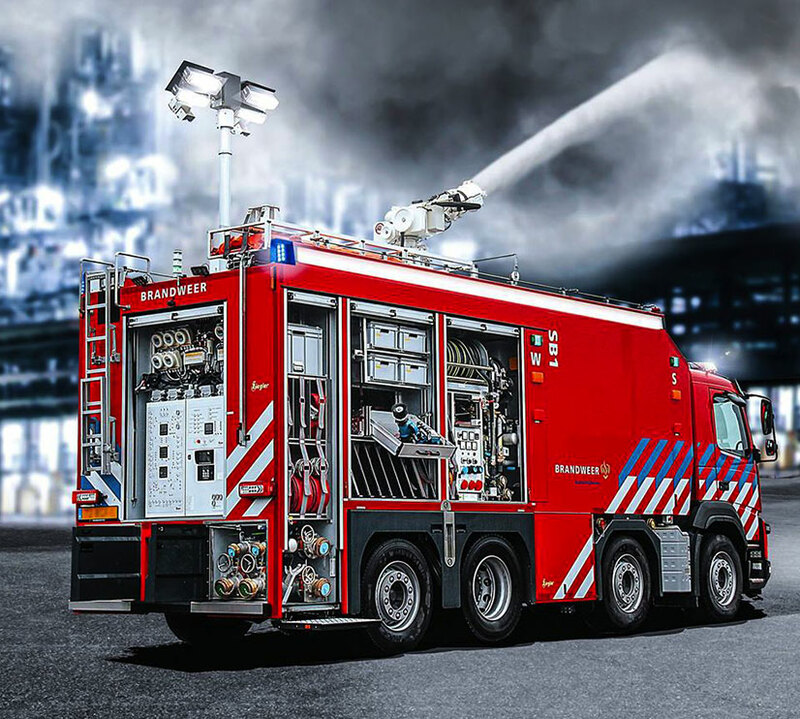 We regularly share new developments and attend various military, fire and emergency services exhibitions throughout the world and continually branch into new markets thanks to the extraordinary people we meet along the way. Our ever-expanding high profile client base is testament to the quality and reliability of the equipment and service, and our products are conveniently available through a growing network of worldwide distributors. 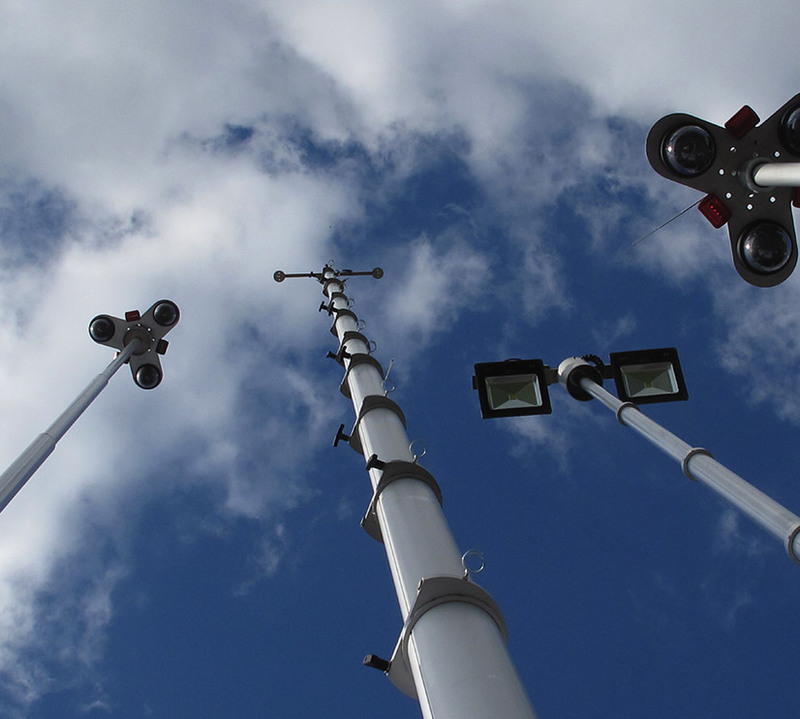 We have an extensive range of beautifully crafted telescopic mast solutions runs to with over 10,000 different types, ranging from 2m to 40m in extended height increments, and over 20 different base tube diameters, from Ø45mm all the way up to Ø250mm, that will carry up to an impressive 500kg. Collaboration with mast manufacturer Fireco means that all the mast mounting systems, Hiperpod and Winch up Masts that we manufacturer in the UK are also available through the numerous partners and distributors in many countries throughout the world and we would be happy to put you in contact with your local supplier. Introducing our new winch up and stainless steel push up masts.